We are inherently whole, complete, and perfect. There is nothing we need to get or get rid of! Everything we need for our own fulfillment we already have. Grace is: It is always there. It is a force that lives in us, that is us. We all experience it and we are all it. John Friend describes it as a force which reveals to us our true nature. Open to Grace: This first principle really has three components. The first is setting the foundation. The second is to expand on the inside (“inner body bright”), and this expansion happens from a remembrance of fullness. The third component is a softening of the outer form (“outer body soft”). Foundation: be steadfast and determined in your foundation. Root down with commitment. Our foundation reflects our intention. So open to grace, and acknowledge where you are. Know that who you is perfect right now you don’t need to add or subtract anything so be strong in knowing your greatness and show that greatness by your foundation. Foundation center of wrist/ankle lines up with second toe/finger. Four corners of food/hand root down. A stance that creates stability and freedom. Inner Body Bright: After we invoke a remembrance we create a full expansion on the inside. Extend from the pelvis up to the pallet of the moth and up the sides of the neck. Lengthen the side body, and the front and the back of the torso. Expand the circumference of the rib cage in all directions. Outer Body Soft: When the inner body is bright your outer form can soften onto that fullness (part of outer body soft is melting the heart). Allow the outer body to soften and naturally release without losing the expansion you created with inner body bright. Opening to grace starts with a remembrance. What do you love? What do you value? What do you cherish? From this inner remembrance we expand, we fill our self with this remembrance and create inner body bright, and with this remembrance we find that the outer layers naturally soften. Another way to cultivate a remembrance is by bring the attention to the breath. The breath is a reminder of how marvelous and precious life is. As we in inhale we expand and as we exhale keeping the expansion we soften. When I think of opening to grace I remember the times when I feel small but very connected to what is bigger than me. For example when I am standing on a mountain peak looking down, when I am looking up at the shining stars and full moon, when I am looking into the vastness of the ocean. In all of these situations even though I feel small, I naturally find my standing firm where I am (foundation) and lifting my whole self and heart up higher (inner body bright). When I stand taller like this I think it is my inner body being proud of who I am and that I am connected to the moon, the stars, the ocean… Around this there is a settling, a “it is all going to be okay” feeling and I relax on the periphery (outer body soft). Fall equinox reminds me of spanda, the pulsation of life that we are always in. 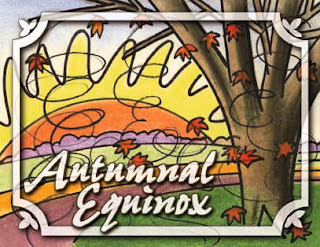 Fall equinox marks the beginning of the physical contraction. We start to get shorter days, colder days, and the bright flowers and green leafs start to change their colors and wilt away. As I think about the pulsation of life I think about the five divine acts of Shiva. Revelation, Creation, Sustenance, Dissolution, Concealment. Even though autumn equinox marks the contraction of spanda in part of the world we can experience multiple experiences of these five acts. I really enjoy remembering these five acts because it reminds me of the power of Grace. One of my friends got fired from a job. He is in a stage of Dissolution and concealment. His old job has disappeared and he is very very sad. If only he could remember there is potential, a new job, which is concealed from him and soon it will be revealed to him. He will then start working again and be in the creation phase, then he will be sustaining the job, eventually he will quite or gets fired and it will dissolve again. My sister recently moved to Colorado to go to school. For a while she was in the creation phase but after making friends and getting into the swing of life and school she is entering the substance phase. 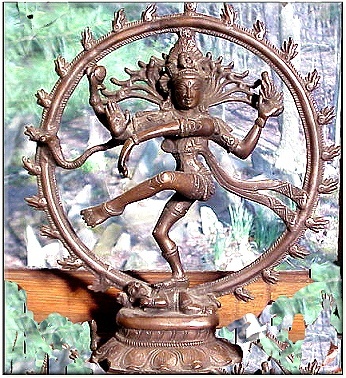 But just like the two sided drum that Shiva beats sustaining life also represents time and all things change with time. Eventually she will leave school (dissolution) and her future will be concealed, then there will be a light and revelation and creation with start and the cycle will continue. We see this in nature in flowers and trees. At first we don’t see anything, but little do we know there is a seed beneath the ground that is concealing all the potential for the future blossom, soon the sapling sprouts out of the dirt and creation is made. It continues to go, the pedals open to soak in the sun and the beauty is being maintained (sustenance). After a while the leaves shrivel up, the petals lose the color and the flower being to die (dissolution) eventually the flower goes away and the concealment happens again. We can see the five acts in our yoga asana practice as well. When we start our asana practice and we sit all the poses are concealed to within us. (Just like all the yoga asanas are concealed within you at this moment. Who knows you could have a revelation and bust out and create virabhadrasana two.) After sitting we get a revelation and our body and spirit guides us into a pose. Then we move into the pose and it gets created. As we use our muscular energy and work the five principles of Anusara yoga we maintain and sustain the pose. After we are done with the pose we begin to move out of it and the pose goes through dissolution. As we shift into another pose the previous pose like all others are concealed within us. I love that within this complex image which represents the five divine acts of Shiva that depicts the five acts (the fire, the mudras, the smiling imp, the drum, the hair) which seem frightening or overwhelming, with in all of this Shiva is doing the mudra of “no fear”. 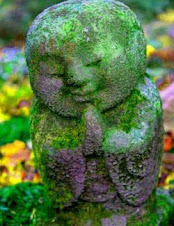 This mudra can remind us that no matter what phase we find our self that we don’t need to be afraid and that even within these divine acts we can open up to the power of Grace. The pulsation of life just like Shiva’s drum will continue to pulse and beat, we can line up to the pulse by learning about the five acts and being aware to where we are in them. As autumn equinox is upon us can we reflect on our life and where we find our self within the pulsation. Wednesday was a crazy day! I got a call from Matt Newman and was invited to a yoga class at his house. I was so excited. The problem was that I was to teach a class at the same time at The Yoga Center. I tried very hard to find a sub but I could not. I contacted the studio owner and I thought I would cancel my class so I could expand as a student and a teacher by attending Matts private yoga class. After school I went and taught a class at Waterford. I teach weekly classes at Waterford for their faculty 345-445. This is one of my favorite classes. Such wonderful people and so open to whatever I offer. I have been working with this group for over a year and I truly feel that they have helped me grow into the teacher I am now. When I arrived I was a little late so I ran into the building leaving my notebook behind. I have a notebook where I outline the idea of the class along with the theme. I normally improvise off of the outline but I always, always bring it with me. It is like my saftey blanket as a yoga teacher. However today I ran into class without it. As I was running and realized I forgot my book I thought about recently certified Anusara teacher Maria Christina. She has been blogging about how she has stopped overly planning her class and instead is being present and is offering what is wanted. I thought I should do that today. When I entered the class I asked how people were doing. A few people said they had “homework neck” i.e. their neck hurt because they have been looking down to grade papers. One student came up to me and asked me to look at her chaturanga because her shoulders where hurting after a class she took previously that week. And another student asked me to go over keeping the shoulders integrated when reaching up. She said “there must be something wrong with me”. After receiving this information I thought shoulder loop, we will work on shoulder loop. This was totaly different then I planned. I don’t even know how I thought up the poses and the order but they all worked so well. We did partner work. It was so great. There were many ah ha moments for many of the students. Each student talked to me after class and expressed how much they enjoyed the class. One woman said I need this every class. It was really moving and helped me realize that I don’t need to overly plan and memorize the class I want to teach. That I have the knowledge and wisdom in me. I have practiced and studied a lot and that I can spontaneously teach what is needed in that moment. After the class I also decided (I actually decided as I was running to Waterford) that I was going to teach my class at the yoga center. I knew Leslie (the studio owner) would be fine if I canceled. She is a wonderful woman and really wants everyone, her teachers included, to grow as yoga students. However I wanted to be responsible and dependable although I did have a feeling like no one would show up because my two regular students both told me they would be missing today. However I had four students show up. Three of which were new to me. Everyone loved the class, I think. Two of the new students where a couple, they had come to two other classes at the yoga center that week. The women had a hurt back and read my bio and thought I would be perfect. Though out class we had lots of fun, lots of laughs, after class the women pulled me aside and said this is what she had been looking for. That she REALLY APPRIACETED my personality. What a tremendous compliment. My heart melted. GREAT DAY. TEACHING AND LIVING. Bernadette Birney a student of Rajanaka Yoga and a certified Anusara Yoga teacher. Wow. It has been a long time since I last posted. I am inspired by Leslie Salmon. She makes a point to write a blog every day, just to have the habit so she doesn’t fall out of it. I think that is a wonderful day. When I had more free time it was allot easier to write more blogs. I was teaching more classes, attending more classes, personal practicing more. Now my brain feels so full. None the less. I usually write my blogs on word take a few days, spell check, re read, add, re read.... Now I am entering it live on new posts. How exciting. I thought I would make it a point to write at least one blog a week. This one will be short and sweet. I have recently been volunteering at Camp Kostopulos, a program that works with people with disabilities. I love doing this. Last Saturday I went to camp K and we played kick ball and BBQ and I met a wonderful women D. D was so excited she kept tell me that she will be going to the fair on Tuesday. This is an outing put on by camp k. "I am going to the fair on Tuesday; I am going to the fair on Tuesday". This excited encouraged me to sign up to volunteer at the fair. Once there on Tuesday evening I was working a lot with D. We were at the fair how fun. However D was going to be coming to the fair on Wednesday with her family and so all evening at the fair she kept saying "I am going to the fair tomorrow! I am going to the fair tomorrow!” She was at the fair and instead of being fully in the moment she was planning her next visit to where she already was, right then. This reminded me of what I do all the time. I get so caught up in my mind planning about the future that I miss the very moment that I was preplanning for. This reminded me of one of my all time favorite books BE HERE NOW. Everything that we are planning will always happen in the present moment. However life has untrained us to enjoy the present moment and has instead taught us to plan for the future and over analyze the past. When we are planning and over analyzing we are doing that in the present moment and we are missing the awesome invitation for the now. The class was on being present. To the breath, the sensations of the body, the thoughts... Being present to when the mind starts planning. Just being present. On our mat is a wonderful place for us to become yoga ninjas, at being in the moment. I am one happy lady. I just got back from taking lovely Anusara certified teacher Wayne Belles at The Yoga Center (4689 S. Holladay Blvd). This is a new weekly class he will be offering! I have a lot of papers to write but I want to quickly share what I learned today. Wayne started class by talking about transformation. He said if we even look at how our poses have transformed since our first Anusara class. I really enjoyed it when he said that it takes a long time to transform some of our poses but that is what is so great. If we learned the poses and the refinements quickly we wouldn’t learn as much. He also said toward the end of the class that it is when we plateau in our practice, when the fireworks stop and the honeymoon stage is over. That is when the real practice begins. How inspiring. When we sat in the beginning he said notice the breath and I loved this. He said when all those wonderful thoughts come into our mind about our life simply bring your awareness back to the breath. When I first started practicing I thought the thoughts and the chatter in the mind that needed to be overcome and dominated in order for us to experience the stillness (a classical yoga view) now I know that I don’t need to overpower then and shut them off but I can just be with them. But I loved Wayne’s description that they are good. Just like we are intrinsically good. But we can still shift our attention back to the pauses in the breath. Uttanasana: we worked on knowing when we are hyper extending and when we are not. I always thought I hyper extended in uttanasana so I kept a slight bend in my knees. Today we learned a trick where if we feel the behind our knees, the eye of the knee. It should feel soft, if we hyper extend the back of the knee becomes very hard. AMS: I have been feeling like my arms are wonky in down dog. Remember the base of the arm has an inner rotation to it and the upper arm has an outer rotation and the eyes of the elbows should gaze “softly” at each other. AMK: handstand work. How fun, thanks to Leslie mentioning she wants to hope up. I have been working alot on handstand but I have been feeling a little blocked with my feet. I had been flexing them really working the pinky toe edges back. Wayne reminded me that I want to floint them. Floint = Barbie feet. Not pointed but not flexed, pinky toes still pulling back. Urdhva Danurasana: the first urdhva we did Wayne yelled Kim arm bones back. I tried I thought I was doing it. When I came down Leslie (The Yoga Center owner, and soon to be certified) mentioned that I need to extend my heart more to the front of the room. I went up again and Leslie applied resistance to my legs so I could actively reach my heart forward and she pulled my shins in the other direction. How amazing. I tried to pull my arm bones back and my heart forward. It definitely felt different more open. Then Wayne came over and pulled my more into shoulder loop. How amazing I was working with two lovely teachers and I felt so wonderful in urdhva. Then I got to try it again on my own. Not the same bliss is being supported by two others but feeling better. It is great scientists are now confirming what yogis have known for years. That EVERYTHING is pulsating, everything is vibrating. Spanda is the name used for the subtle pulse of the universe as it manifests into form. I have been thinking a lot about pulsation lately. I have been busy and sometimes I feel like I am fighting life. I know this feeling is because my pulsation is in conflict with the pulsation of the universe. This is one of the reasons I love yoga because I can realign myself with the flow of Grace. When I feel like I am fighting against the flow, I pause, I breathe, I practice meditation or asana, I remember I am connected to something bigger then myself and “this” homework assignment. I know that spanda and quantum physics is super specific and complex. This is my way of breaking it down into simple words along with hand motions I use to help me explain it in class. My explanation is just to help explain the idea, in a fun way. I applied/translated this to my idea of spanda. The who world is an ocean filled with waves = the universe is constantly pulsating (I like to imagine this complex pulsation as one simple wave motion. I use my hand and make big wave motions). Learn to float on them= learn to align yourself so you are pulsating on the same vibration as the universe (now I use both of my hands to make a wave motion that are in sync so everything is smooth and enjoyable). And don’t get caught in them = don’t pulsate in opposition to the universe (to explain this with my hands I use both my hands going in the same directions but at opposite times (like a figure eight) so my hands collide in the middle of the wave). Equanimity or balance is yoga. On Thursday I talked about this for my yoga hour class (only 4$ at the yoga center). It was really fun. We worked on holding poses up to two minutes. I talked about how when you hold a pose the body and mind can start to resist and contract. You start to bit your teeth or tighten the muscles around your eyes. This is what happens when we flow against the pulsation of the Divine. What’s great about Anusara yoga, is we can use the principles of alignment to find the optimum place for us in the pose. This is moving toward the optimal blueprint. When we are in this place it is magical. Instead of contracting and getting irritated we are full of love. We feel the deeper meaning of life, a sense of acceptance of our self. This is aligning with the divine. This is a way to match up our pulsation with that of Grace. And what is so cool, is if we can do this on the mat we can start to do it off the mat as well. 1st 2nd 3rd principle. Finding a balance between stability and ease. I just taught a class at the yoga center and it was really great! I was feeling really overwhelmed today with school and upcoming volunteer/ internships approaching. I have been thinking about sthira/effort/stability and sukham/ease/freedom. Right now I am balancing school, work, yoga, volunteering, husband, dog. My tendency while trying to balance this it to use a lot of effort and I need to bring in more ease. I work so hard, over think things, over plan things and I get stressed. I literally contract. I also have noticed that I have friends and classmates whose natural tendency is ease. They don’t really think about homework, tests, and internships. This causes them to worry but not in a contracted way like when I worry. Both of these situations are unhealthy. I need to pause and breathe and be a little more easeful. I need to recognize that because I am so disciplined it allows me the opportunity of freedom because I have finished all my papers early and I can take a few hours off and practice my yoga or go out with friends. For people who are to at ease or lazy need more stability, structure and discipline so they don’t fail the class. This is just me kind of thinking and rambling. So that was my plan to work on 2nd principle/muscular energy and 5th principle/organic energy. I also want to make sure that we focused a lot on 1st principle/open to grace. I have somewhat struggled with teaching 1st principle because it is so vague. “Open to grace” “inner body bright” I have also had a hard time finding the right words to help my students really connect and understand this MOST IMPORANT PRINCIPLE. However I have been thinking about it a lot lately as my life has gotten more chaotic. When John was here he was saying that 1st principle is “take it easy”. I like that. I have also been thinking about how first principle is taking it easy but it is also bringing your awareness to where you are. It is acknowledging where you are and to be 100% present 100% authentic and be okay with what that experience is. When you are present and authentic and accept yourself as you are and where you are, you can be proud. That proudness and acceptance to me is inner body bright. It allows me to accept where I am. It allows us to acknowledge that I am part of grace and open to grace. To give another example about homework. Some nights I am working on 3 papers, I am reading a chapter, I am emailing a teacher, I facebook open… I am doing 10 things at once. When I do this I am not 100% present to any one of them, how could I be. I also cannot be 100% authentic because I am not present; I am not fully showing up. I need to open to grace. It’s just like when I am mindlessly doing yoga, I step into my lunge like the teacher ques but really I am thinking about dinner, and my husband, and my homework, and my inner thighs, again I am not present or aware. When I pause in each of these situations. I recognize hey I here. I am going to be fully present, and not divide my energy. I am going to soften, I am going to remember how I am a great person and that I am connected to this amazing essence that is so much bigger then myself. That everything will be alright. When I come to place of “oh yeah, I am here, I am present, and I think I am awesome” then I can begin to find stability and I can experience freedom. But if I am not open, receptive, or in remembrance I can even begin to work on stability and freedom. These three principles: open to grace, muscular energy, and organic energy are the main principle of Anusara yoga inner and outer spiral are only refinements. I talked a little about the idea of don’t always go with you dosha. I gave the example of going to a restuaraunt where there is spicy food and you have the option between mild, medium, hot, really hot. You go to the restraint with a group of friends and in the group there is a really firy passionate friend, and also a timid shy friend. It is most likely the fiery person will get the really hot option and the timid will get the mild. When the fiery person doesn’t need more fire and could probably benefit from the mild and the timid person could probably use a little heat. The point is we have a natural tendency that we tend to go with. I pointed this out in poses. If you are someone who gets into the pose and actively engages so much you probably don’t need to continue to work on squeezing the muscles to the bones and in towards the midline, maybe you should work on softening and extending out in opposite directions. And vise versa. May I find a balance between effort and ease so I may enjoy the freedom of life while maintaining stability. yoga= skill + action. Dont just react choose how to respond! One thing that was reaffirmed for me over the weekend with john friend was the power of yoga. That what we do on that mat can help us make huge shifts in our life. Our practice can help shift our perspective and gives us tools to not just react and fall into our habits/addictions but instead to choose how we will respond. Yoga helps us make these shifts by fostering awareness, intention, and skill. What is important is that we don’t just throw away the habit; instead we shift the energy so we can turn it into something productive that helps up lift us. That helps make us a better person. Our tendencies are based off a reaction that was triggered by an emotion, which was a reaction to some stimuli. Our tendencies are triggered from these reactions, smoking a cigarette was just one example other include alcohol, over eating, under eating, taking out your emotion out on someone else, self pity/hatred, gambling… The main negative emotions that trigger these tendencies include sadness (I am not good enough), anger (you are different then me) and fear (I want to control everything, and I am afraid of loss). The more we cultivate our awareness the more we will be able to notice when something triggers one of these emotions and then we can start to notice what tendesnisies we have based off these emotions. If we can witness these emotions and learn how to be with them we can shift them with our skill and our intention. Yoga gives us the skills to choose how we respond instead of reacting out of instinct, habit, or addition. When we choose how we respond we can shape our life and use our actions to make us a better person, more generous, more patient, more companionate, more stable, more uplifting, more calm, more grounded…. • Where do you tend to physically place yourself in a yoga room? • Where does your mind tend to go in each pose? • How do you tend to react when someone cuts you off in traffic? • How do you tend to feel when someone says something nice about you? • What is you reaction when someone you love yells at you? Anyways after the walk I rode to school had three classes and biked home. Wasn’t as productive as I would have liked. I went to teach my yoga class at the yoga center and was feeling alit distracted. As usual I was over thinking my theme. I told myself that I don’t need to have a set theme, I don’t need to rehearse it in my head, I don’t need to pre plan how it will connect the main teaching points I wanted to emphasis. When I went to class I really had no idea what the theme was going to be. I had about 10 options I was thinking about. Before class started a regular student came up to me and told me “I don’t want you to change your theme or sequence but I am having a hard day my shoulders hurt, and I have a head ache” we had a small talk and I recommended she not do any vinyasa and I pointed out compassionate that is was in her nature to do every vinyasas but it would be a good opportunity to notice the ego and not participate in the extra chaturanga and back bend. (She ended up doing many vinyasas). But that comment sparked a theme: always do you best. I have used a similar theme before. Trying to do your best is very important because it means that you are doing the best you can. It requires you to look at your stuff, what going on outside of class, and what you a have brought onto your matt. It requires awareness and it always you to feel satisfied because you know you did your best. I winged the whole theme. It was great. I even mentioned how one of the things that was reaffirmed after studying with JF this weekend was the power of our practice. That what we do on the mat can help us shift tremendously. Taking what is no longer serving us and taking that energy and transforming it. As john says “turning ash to gold”. The class was great. After class I asked if anyone had any requests or areas they wanted to focus on next week and one of the students (the one I was talking with earlier) said just that I be present. This made me feel so good. Another regular student gave me a hug and thanked me for the class. This was so great. It reminded me that I have something to offer. And I am beginning to realize that students are enjoying it more when I am spontaneous and authentic then planned and rehearsed. Not that planned and rehearsed doesn’t mean I am not being authentic but it might mean I am putting too much thought into it and I should just be spontaneous and inspired by the energy and questions I the room. Yesterday I had such a great day. The night before (Monday) I was feeling so overwhelmed after along day of school I am taking 15 credits. I had made a list of 21 things I needed to do on Tuesday, which is my day off. One of them involved figuring out what to do about the Anusara grand gathering that I had so been looking forward to attending but multiple conflicts kept coming up including an intern opportunity. When I woke up on Tuesday and looked at my list I felt my shoulders get heavy. But I practiced first principle lifted my side body as in there was a happy sun shining with in my heart and soften my shoulders and skin. As JF was saying this weekend, first principle is “take it easy”. The day was fabulous. One of the best days I have had in a while. I got so much accomplished while staying very happy and optimistic. Got a refund from the grand gather a sad experience but I know there will be more gathering and I also recognize that this isn’t the appropriate time for me to go. After canceling I felt even lighter and brighter, I no longer needed to juggle 100 things school, papers, volunteer work, internship opportunities, interviews, yoga subs, credit card debt. It felt like the right thing to do. I was so productive. I finished my list of 21 but I think it turned into 27 things then was able to take Matt Newman’s wonderful level 2 class at Flow. It was great he talked about pulsation (spanda) and fullness (purna). During the class I was so happy and proud of the actions I took that day. I could feel the spanda of bliss (ananda) and I felt full. Full of goodness, of honesty, of truth, satisfied with myself (which is something I am always working on)…It was great after that I was able to take my dog, dharma, on a walk with my friend. She has been going through some stuff lately. Like a lotus going through the muck in order to blossom and it was really great to be with her and offer support, compassion, and when she asked guidance.